Fresh off Whole30, we had company for dinner last week.... a family with middle and high-school-aged kids, which meant no lean vegetarian entree or bread-free meal this time. Though what I really want to talk about is the dessert. Yes, dessert. I'd been intentionally sugar and flour-less for nearly six weeks by this time, and what did I crave? Chocolate cake. I can't tell you how much time I wasted looking for the perfect recipe. Not an overly sweet cake with fluffy frosting. Not a big cake that would take the afternoon to make. No, I wanted a plain and simple cake that could be served with the ice cream I knew these kids loved. 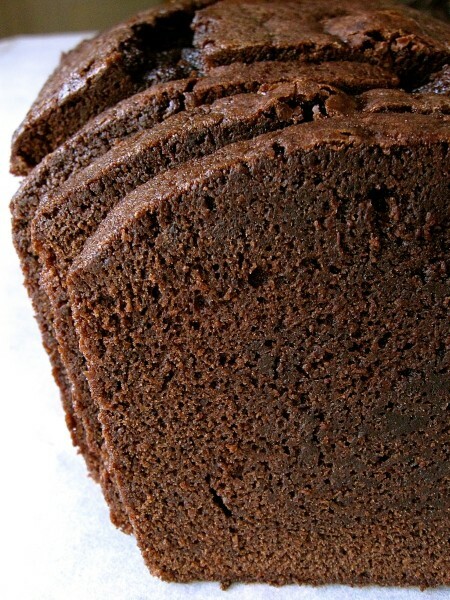 I finally found it in the Chocolate Loaf Cake by King Arthur Flour. I had everything on hand and it took just moments to whip up. Though I haven't always had great success with loaf cakes, this one turned out flawlessly. 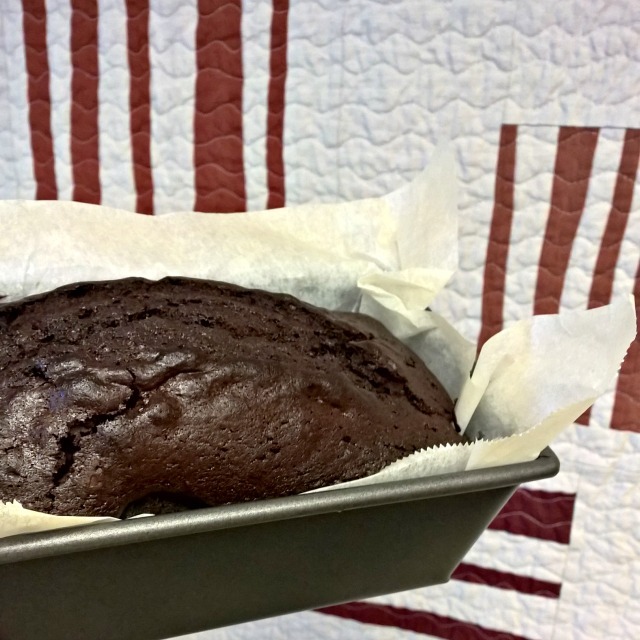 So need a perfect little chocolate cake? This is it. "need a perfect little chocolate cake?" This is rhetorical, right? ;^) There's a birthday this week at our house and Nigella's Guinness Chocolate Cake is on the docket. But this could be next. First off, kudos to you for finishing a whole30. That's not easy (at least I couldn't do it). Secondly, that cake looks pretty darn perfect to me. Thanks for the link! 2016 Finish-A-Long :: Q1 Winners! 2016 Finish-A-Long :: Q2 Now Open!